Every day, I go through my email and delete email blast after email blast. 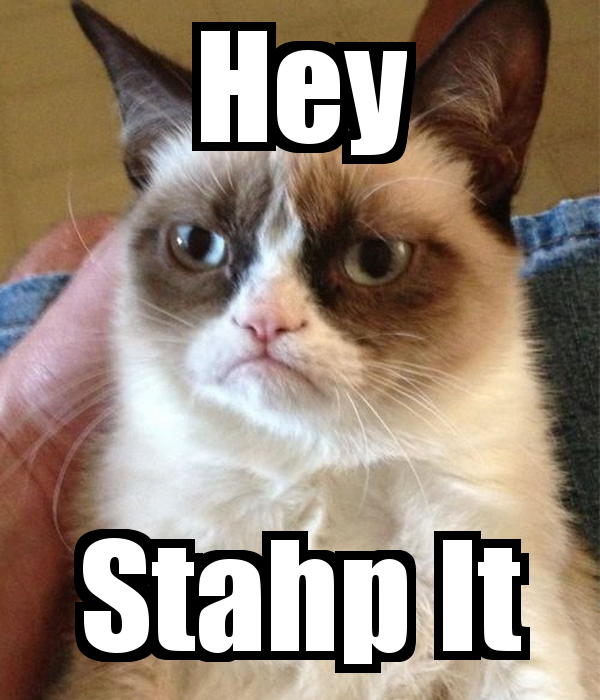 With every email I send into trash without opening, I think, STAHP, STAHP, STAHP! Your leads are probably doing the same if you are taking the blast approach instead of a nurturing campaign. According to Forrester Research, companies that excel at email nurturing generate 50% more sales-ready leads at 33% lower cost. By using marketing automation software, it’s possible to create effective B2B email campaigns that keep prospects and customers engaged by providing them with the most relevant information when they want it. When you practice email nurturing, you S.T.A.H.P. Here’s how you Strategize, Target, Adapt, Humanize, and Progress your emails with nurturing campaigns and leave those blasts to the past. How much strategy goes into an email blast? Not much it seems. It’s an easy way to get your message out there, sure. However, email nurturing allows you to be more strategic in choosing when those messages are delivered. On a basic level, you can use the appropriate marketing software to make sure that clients do not receive too much email too frequently, setting limitations such as one message per week so that they don’t feel bombarded. On a more advanced level, nurturing emails can be delivered via marketing automation software after certain triggers, such as the client downloading something from your site. This may trigger an email confirmation of the download, additional information about the download, or additional calls to action as you see fit. Thus, the customer receives relevant, useful information exactly when they need it. One of the best parts of email nurturing is that marketing automation software allows you to customize messages to clients that you have separated into targeted lists. Clients are likely to delete that email blast they feel is generic and that doesn’t offer content that is uniquely valuable to them. Conversely, relevant emails to targeted groups improve revenue. In fact, Juniper Research discovered that relevant emails “drive 18x more revenue than broadcast emails.” (Broadcast emails is the marketing euphemism for the dreaded email blast.) This is due to targeted, email nurturing makes clients feel like they are in a relationship with a business that understands their unique needs. Perhaps the best reason to use email nurturing is that the more you use it, the more useful it becomes. The practice helps you to collect data which, in turn, helps you create more effective email campaigns. For instance, you may start by sending lapsed customers a light-weight engagement email that contains at least three different links they may click on. Use your marketing automation software to monitor the actions they take, and assess the needs they are expressing based on what they click. With this information, you can begin segmenting this client list and sending customized content to different groups, moving from the initial lightweight engagement to later attempts to convert them once again. Collecting this data will help you refine future email nurturing campaigns and to adapt your email marketing to the exact needs of your specific audience. Sending nurturing messages using marketing automation software allows you to create a more natural progression through the conversion of a client. In conjunction with the criteria your sales team has set for sales-ready leads, you can strategically offer things like free trials or software demos to customers after their initial conversion. In this way, entire email nurturing campaigns can be customized to bring customers fully through the sales funnel by continuously offering them both educational content and relevant tools based on their specific needs. Your leads and prospects are wanting the same personal service they would receive if you took them out to lunch. Nurturing your leads with a marketing automation tool allows you to build better relationships and close more deals by giving you insight into what your prospects and customers need.